Have you ever thought about what your insides would look if we could see through your skin? 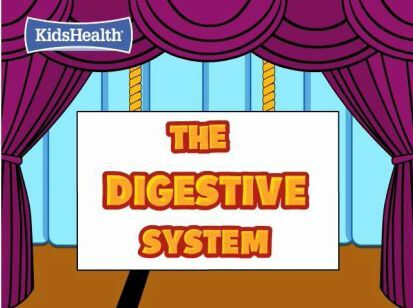 We'll join Sam the Invisible Man as he helps out Dr. Smith and listen to and highlight important terms from the Digestion Song. Look for the lyrics in your Science Duotang. Put the digestive system back together! Key Question: How does your digestive system work? Answer each question on the answer sheet for Section 4.2 in your Science duotang. 1. Look at the three pictures on the bottom of page 88 of the BC Science Probe textbook or the Digestive System on the iPad. What are they all about? 2. Read the title of the section. What do you think is the job of the digestive system? Discuss your ideas with a partner. 1. 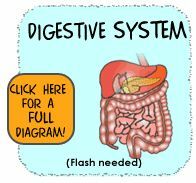 What is the job of the digestive system? 2. What happens to the food at the end of digestion? 3. Look at the labels of organs in the picture. Read the steps involved in digesting an apple. Match the names of organs from the picture with the correct step. Awesome Science! How have animals' digestive systems evolved to help them live in their environments? 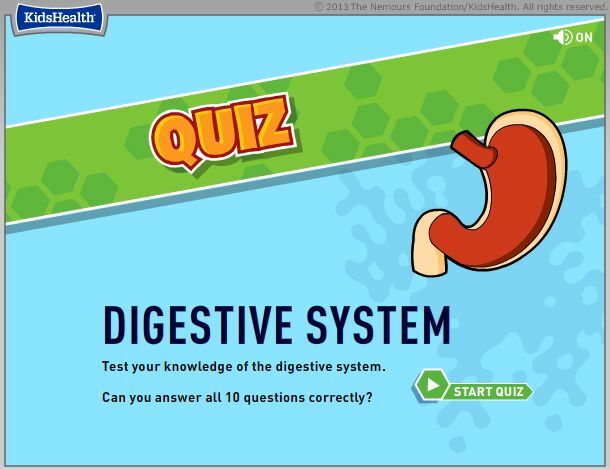 Now complete the Digestive System Quiz in your Science Duotang. Visit the website below to see how your body digests different foods. Be able to explain it to a friend. Follow the directions on page 90 of the textbook to make the model. Take pictures or a video and explain your model to your audience. Mechanical digestion is the physical breakdown of food by teeth or muscles to make chemical digestion more effective. Materials Needed: esophagus (paper tube) stomach (large zip top freezer bag); chemicals and enzymes (food colouring); saliva (3 spoonfuls of water) food (banana and crackers). 2. Add the food, saliva,enzymes and chemicals to the stomach through the esophagus. 3. The food in the stomach is squeezed and mixed before passing into the small intestine. Document each step with photographs and add it to our class blog. Bon appetit! Peristalsis is the action of muscles that moves food through your digestive system. Follow the steps in your duotang to make a model and then use the video camera to teach a friend. Make sure you answer the questions. Anatomy - I Know My Body. Now is the time to check out some more apps. The first one is called Anatomy - I Know My Body - once you've chosen your body go to the menu and pick the section called "I Am Hungry". Body Adventure Play "It Takes Guts" - learn about the digestive system by breaking down food and soaking up nutrients. If you have time you can also go to "Junk Food Destroyer" and learn about healthy nutrition by destroying junk food and saving the healthy food groups.